Visualize work processes and procedures in your Microsoft PowerPoint presentation with this huge range of 3D graphics. 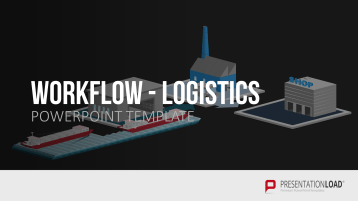 Use Our Workflow Bundle to Visualize Industry-Specific Processes and Workflows Clearly and Vividly. A workflow is the sequence of industrial, administrative, or other processes through which a piece of work passes from initiation to completion. Our vivid three-dimensional graphics allow your audience to clearly grasp processes and workflows and make it easier for both companies and employees to plan and optimize workflows. 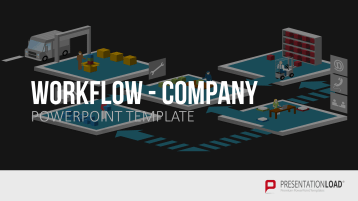 The Workflow bundle supports you in the visual planning and presentation of workflows and processes. Our templates offer a selection of sample layouts and ready-made graphics, such as transportation options, people, office furniture, buildings, IT equipment and other industry-specific elements. 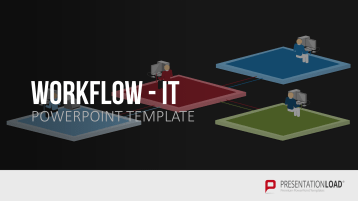 Create your own vivid and professional workflow diagrams quickly and easily. Stunning three-dimensional graphics to visualize internal company processes and work steps in areas such as production, sales and customer service. This set also contains toolboxes with additional graphic elements such as buildings, people, streets, vehicles and office furniture. This template contains examples of an intranet and server environment structures and interchangeable, professionally designed graphics of people, PCs, printers, servers, etc. A set containing clear, impactful three-dimensional graphics for visualizing important processes in the logistics industry, such as supply chain management and transport routes, whether by land, sea or air. This template also includes a toolbox with useful additional graphic elements such as buildings, transportation options, people and more. 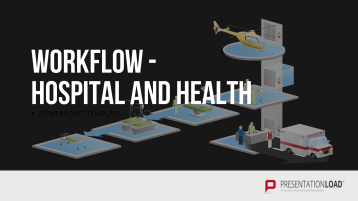 This template includes diagrams to clearly visualize laboratory processes, patient admission, the emergency room and the intensive care unit, as well as toolboxes containing further graphic elements such as medical equipment, vehicles, people and more. Slides containing vivid, three-dimensional graphics that can be arranged to illustrate individual planning steps, the construction phase and the logistics of a construction project, as well as further design elements such as buildings, stairs, building tools, transportation options, people and more.